Creating ads with shock value can have a major impact on the effectiveness of your advertising. However, shock value is best used when it aligns with your overall message, or with what you are selling. Upon reviewing the series of advertisements from Benetton, it is clear that what was shocking had very little impact on the audience. Personally, I was surprised that a group of professionals felt that producing such advertisements would be effective. To make sure I wasn�t just missing the big picture I asked several peers what they felt upon viewing the ads. I had no prior knowledge of Benetton, and neither did my selection of peers. 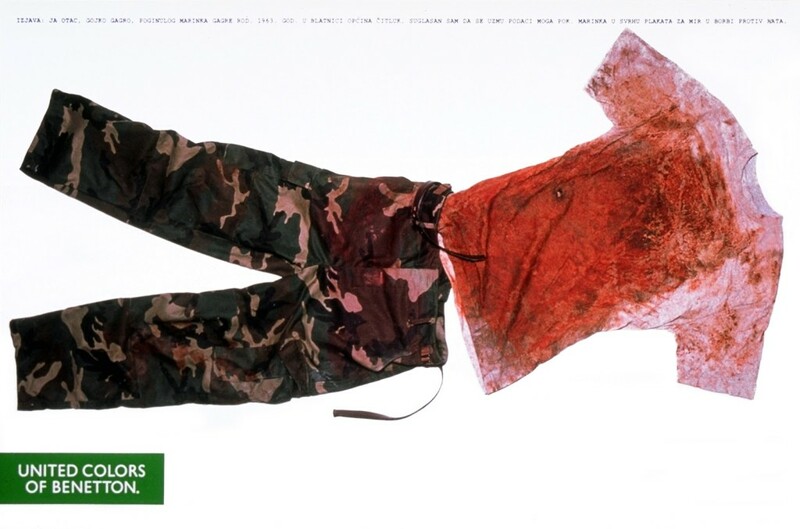 The series of ads by Oliviero Toscani did not provide any hints to them. Images of a newborn baby, or a white infant breastfeeding from a black woman only added to the confusion of whom or what Benetton was. After viewing a large number of the ads the only definite statement that could be made was that Benetton was trying to start conversations. But there is no clear direction as to what conversation should be started! Sure we can talk about social issues, but what good does it do your company when there�s more confusion than understanding, and more arguing than sharing? I�ve got to give Toscani credit; he took advantage of an incredible opportunity to create thought-provoking and stimulating art. Benetton made the mistake of thinking it would generate positive results for their business. Toscani�s work lacked the proper context. Folks might react more appropriately if his work was posted in an art gallery.